If you asked people to tell you the goal of a startup, most would say that it’s to make money, solve problems, innovate, or to make the world a better place. And yes, those things are true and legitimate goals. As believers though, in everything we do, our goal is rooted in the two greatest commandments: first, to love your God with all your heart, with all your soul, with all your mind, and all your strength. The second is this: love your neighbor. So for years I’ve been thinking – what would the startup journey look like if the main goal of the founder and the venture itself was to love people? I was also a new and very eager young Christian. So, when I realized I had an actual business on my hands, I saw it as a platform to share my excitement for God. I displayed my baked goods in baskets and made signs out of construction paper and markers. Every sign had the John 3:16 verse written out. The Wall Street Journal did this little section on their business page asking entrepreneurs to share the name of their favorite business book. People like Bill Gates shared their top-selling titles, and what did I say? The Bible. And The Wall Street Journal actually printed it. I laugh now at these examples of my innocence and pure-hearted intentions. The way I expressed being a Christian and an entrepreneur at that time was by slapping verses on products and mentioning my faith at every opportunity. But I struggled with what God was doing here. Was it enough to just tell people I believed in God? I knew my banana bread was delicious and all, but even I wouldn’t say that one bite would change someone’s life. Through Jessica’s Wonders, we donated our baked goods to a local homeless shelter, and I felt like I was doing my part: They needed food, and I brought them baked goods. One time though, I clearly remember bringing in this batch of brownies that wasn’t good enough to sell. It was slightly burnt and the taste was a bit off. So, instead of throwing them out, I figured the shelter could still use them. How can I love someone without taking time to understand and respect them as customers of our work? I watched as a little boy and his mom bit into their brownies, made disgusted facial expressions, and threw them away. It hit me in that moment that I was not loving people through my company the way I wanted to. I was loving the startup journey, the money, the success, and the feeling that putting verses on the product made it a Christian company. I thought it was loving to donate food to the people going to the shelters. But by not always meeting our own quality standards, I actually wasn’t being loving or honoring to them. And that meant that whatever else I did with my packaging, or any other expressions of my faith, it wasn’t a Christian company yet. That moment changed my heart, because it made me ask: Was I in love with “giving back” more than actually loving the people we were giving to? How can I love someone without taking time to understand and respect them as customers of our work? From then on, I spent more time building relationships with the people in the shelter. And I realized that they didn’t really need baked goods, not even of the best quality – they needed a job opportunity. I looked at our operations and wondered how I could address this. With baked goods, the best way to market is to get people to taste it. So we hired young adults who had gotten lost in the system to hand out taste samples. It was a simple enough task that didn’t require previous work experience, but it gave them an opportunity to hold a job, gain skills, and build a track record. I was beginning to learn the deeper power of a business. Business is really about the PEOPLE. Is what I’m doing loving to my customers, my team members, investors, community, and family? And I began to see that for founders, our calling is not tied to a type of industry or product. It’s not even growth or success, though we are obviously working like crazy to achieve these. Our calling is to love people, through every part of the startup process, from the idea through the execution to the exit. Love is the reason why I feel so compelled to create a solution in the first place, and the ultimate impact I want my venture to have. Whether through a great service or product, I want people to feel loved, encouraged, and empowered through its features, benefits, and outcomes. Love is the core of the questions I ask myself with every decision, at every stage. The goal of love starts with the WHY of the venture. I’m an Entrepreneur-in-Residence at CRV (Charles River Ventures), a VC firm that invests in early stage startups. I spent the last year exploring what my next startup would be, and I get asked all the time, “What’s your next big idea? What’s the product? What’s the business model?” I mean, it makes sense, because that’s how we hear about companies – as consumers, we hear about the product’s amazing features that will benefit us, or its disruptive or scalable model. However, that’s not the place to start. Those things are not the Alpha of entrepreneurship for a founder. In my case, I had to stop looking for the idea first. Instead of thinking of a cool product idea and then figuring out how to convince people to buy it, I’m learning to start on the other end. I focus first on the people – I study them. When you study something, you keep wanting to know more about it. When you know more, you start to care. When that care turns into love, you no longer look to sell them something. Instead, you look for true solutions that make their lives better. And if you build true solutions based on core consumer insight and behavior, you’ll provide the most value and continually evolve with the people you are serving. The design community, IDEO, promotes a well-known, human-centered process, which “starts with the people you’re designing for and ends with new solutions that are tailor-made to suit their needs. Human-centered design is all about building a deep empathy with the people you’re designing for; generating tons of ideas; building a bunch of prototypes; sharing what you’ve made with the people; and eventually putting your innovative new solution out in the world.” It’s a proven and effective method to start with the end user and figure out what product/service they would want. Yet problem solving with this kind of empathy doesn’t necessarily translate into loving the people you’re serving. The key difference between empathy alone and empathy as an expression of love is found in your intent. Am I observing, researching, and trying to understand my end user to make their lives better, or to grab insight into what would lead them to purchase? Is my intent to acquire them or to care for them? This intent colors the lens through which we view and interpret their needs and desires, and it shapes what we do with the insights we get. The goal of making something people want is very different than making something people want that will also lead to their flourishing. I was recently digging into the caregivers space. These are mainly family members taking care of a loved one with a prolonged illness or aging in their home. These family members are exhausted, they are desperate, and they feel alone. In this highly emotional state, they need to make tough decisions and spend a lot of money with a lack of direction or transparency. It’s not the time to diligently compare pricing when you’re deciding on how to best care for the last phases of your mom’s life. So, you do it blindly. After a lot of interviews and drawing from my own personal experience, I got a good sense of what the needs were. If my approach is rooted in empathy alone, I could take advantage of my understanding of this desperation to create a service that purposely kept them in the dark. I could easily mark up the pricing based on my target customers’ emotional state and make them dependent on us, due to their exhaustion to look elsewhere. But if I’m driven by leveraging that empathy and understanding to truly love, instead I would create a service that empowered them with all the knowledge they needed to make the best decision for their family – even if it meant that our highest profit-making service was not the right fit for them. With both approaches, you could prove through early testing and feedback that caregivers wanted a given service. However, the test is what happens after the purchase. If your goal is to love, you will take that deep empathetic insight and create the product that allows them to flourish beyond the purchase. Mel Murray of JOYN produces beautiful, functional bags, but she started with her love for Indian people who needed a more dignified way to make a living. Starting with the WHO doesn’t stop with the end consumer. It can also be those involved in the operations. My good friend and Praxis Fellow, Mel Murray, launched a fashion bag company called JOYN. They produce a beautiful and functional bag, but she started with her love for the people she met and lived with in India who needed a more dignified way to make a living. She purposefully created the print process based on hand-carved, hand-stamped wooden blocks. Why? Because it generated more jobs. The more hands who touch the products, the more hands are changed. This is opposite of the efficient, robotic product lines that most manufacturers are putting in place. For JOYN, the WHO is driving the decisions of the company operations, not the WHAT. The love mindset is especially important in the role of leading the organization. As CEO, I saw first-hand the impact of a leader’s personal values, mood, choice of words, reactions to all the crazy situations. Whether you know it or not, whether you want it or not, who you are and what you do as the leader makes such a difference to your team. Our culture puts so much emphasis on the power of leadership. “Take ownership! Be confident. Make clear and tough decisions!” What about love? What does it mean to love your team as a leader? It’s common to think of employees as people you pay to get something done. Especially when I was paying my first team members from my personal savings account, I wanted them to be as dedicated as I was. I wanted them to stay up all night with me and sacrifice their free time. But, I soon learned that I don’t own them. Am I loving my employee’s performance and productivity? Or am I loving him or her simply as a person? I began to work on really seeing them through God’s eyes. I’d say, “I don’t expect you to work here forever. I know that you have your own path and aspirations. You’re an important part of this company’s vision, but what is your own vision for yourself?” It was surprising. One of my product managers said that they ultimately wanted to be a business professor, which was not something I would have guessed. That conversation helped me give him opportunities to gain the skills and perspective he needed to move forward in God’s path for him. He was one of my most effective teammates. I’ve always been inspired by Costco’s emphasis of putting employees first. They have a much higher hourly pay, provide benefits for all levels, and establish the store hours to allow employees to be with their families. Most Costco stores are closed by 6pm on weekends and they never open on major holidays. This seems counterintuitive to the retail industry, which has grown to squeeze in every opportunity to make more sales. It works, though. They are growing at a higher rate than other similar retailers, their retention of employees is higher, and consumers adjust to their set schedule. This is operating out of love for their employees. Before I even had employees, though, I had a cofounder, Christine. I read somewhere that seven out of 10 times, the cofounder relationship can create tremendous stress that ruins the potential of a company. So, I wanted to be super-intentional about this relationship. My cofounder and I made a vow to each other that we would always make sure we were aligned. Our friendship took priority over the possible success of this venture. We asked each other 200 hard questions. Yes, two hundred! “What if an investor wanted to invest, but only if I fired you?” “What if we only had money to pay one person?” “What if one of us started doing unethical things? How would we handle it?” We couldn’t predict all the situations, but our transparent conversations aligned our values and mindset so that we were able to draw upon when those unexpected situations came up – and there were many! Christine is one of my closest friends in life, and we’re stronger than when we first started the business. Whether your venture succeeds or fails, what people will remember is how people treated one another and how it felt to be part of it. I want to end with a lesson that I don’t often hear about startups. A few years ago, in the midst of focusing so much on intentionally loving everyone else, I overlooked the importance of properly loving myself. I was a pregnant entrepreneur hustling in the world of techies and felt this incredible pressure to not only keep up, but push harder. I got caught up in the high-paced culture of crushing Red Bulls on my head and staying up for 48 hours straight. I pushed my body so hard with lack of sleep and exercise. I didn’t make time for my own personal growth in faith and accountability. The change was gradual, yet the cumulative impact hit me like a rip current. Rips are hard to see beneath breaking waves, which is one reason why they’re dangerous. If swimmers are unaware of what’s happening, they exhaust themselves by frantically trying to swim against the flow of water, which often leads to drowning. That’s exactly how I felt at one point, like I had almost lost myself. It wasn’t until I went through the Praxis program that God was able to pull me out and reframe my life. A company designed to transform others cannot succeed without a transformed leader. God doesn’t need me to save the world for him; he just wants me to know and worship him. This journey we call life is just a series of opportunities to experience – and to share – God’s agape love. As I’ve grown into this perspective of love as the Alpha and Omega of entrepreneurship, it has changed how I operate on all levels. It’s even changed my definition of success. Only a small percentage of startups reach the level of financial or social impact outcome we read about and dream of, but often the founders put everything at risk for the chance to be among them. What if we instead defined success as the number of people who were positively impacted by interacting with our company? We would stop focusing on building up to that ONE POSSIBLE BIG CHANCE and instead relish living out the greatest commandments at every possible moment. This story comes by way of The Praxis Journal. 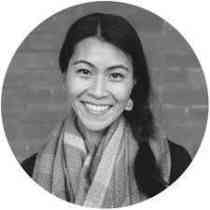 Jessica Kim is a Venture Partner with Praxis and is a serial entrepreneur, having founded her first company from her college dorm room. She is the co-founder and CEO of ianacare, a community and platform to help family caregivers navigate their complex journey. The FREE ianacare app mobilizes friends & family to provide emotional and practical support. All of Jessica's startups are based on the core belief that the purpose of business is to enable people to flourish.